Ayurvedic honeys in India. A different but natural and effective way of healing. There are flowers and bees everywhere. That’s why we also have honey everywhere. But flowers may be different, bees may be different, not to mention the other factors such as weather, soil, people and industry. Yes, industry has a major impact on the environmental conditions, it pollutes large areas and the wind helps in spreading all the chemicals even in wild. This is why we search for organic honeys. It’s not easy to find organic ones, the regulations are not clear and sometimes they simply lack. 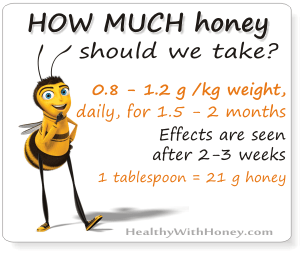 Read here more about this: What is organic honey? and Organic honey vs regular honey. People are also a very important factor in producing honey. And especially their cultural background. China, Japan and India are probably the most relevant in this field. I am a westerner and sometimes I realize how completely different is their way of understanding life. From working, having fun and healing themselves. And mostly everything else. The Chinese have their TCM – Traditional Chines Medicine, which is still a mystery to us. The Indians have Ayurveda, which has started step by step to be deciphered by westerners, too. Yet, a very long and difficult path, not as easy as learning physics at school! It takes years of actually living in India, of finding a proper teacher willing to teach you some things. It takes dedications and hard work. Of course there are courses of Ayurveda available, and books, but they will probably teach you 30% of it, at the best. 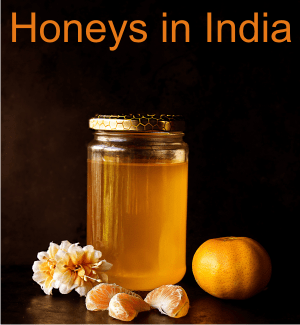 And here we come to the subject of this article, the curious honey types of honey in India. Ashtanga Hridaya – a classic Ayurveda document written at about 500 AD, says honey can be used against many diseases such as healing and cleaning wounds, against different internal and external infections. KRISHNA, R talked about this in 2005 in his study “Therapeutic uses of Honey in Ayurveda”. Honey was recognized as a medicine, not only as a sweet food. But this is not regular honey, produced by Apis mellifera honey bee in hives managed by beekeepers. It’s wild honey, produced by different types of wild bees. It is used as medicine, not as food, with the exception of Chatra honey, which can be eaten on a daily basis. This honeys are not to be found in a supermarket. They are recommended only by Ayurveda therapists and found only in special places. In case these honeys are missing, regular honey is used to take their place. Also, very important, Ayurveda militates against heating honey. According to them honey becomes toxic to the body even if it’s merely warm. “It is heavy (guru guna), dry (ruksha) or cold (sheeta). It aggravates vata, scrapes kapha and normalizes pitta and rakta. 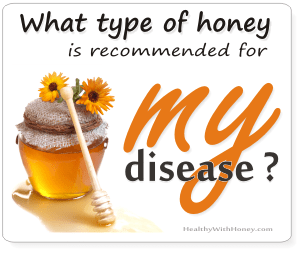 It promotes healing process.” – how different this is from everything a westerner can say about honey! 4. As an enhancer, a vehicle for some medicines to enhance their efficacy. Or to decrease the side effects of the other medicines it is mixed with. It is said there are 634 Ayurvedic remedies that contain honey. 5. As medicine to decrease kapha dosha. Kapha dosha is an ayurvedic category for a certain type of body constitutions. People with kapha dosha are of larger proportions with robust frame. According to Ayurveda, there are eight different types of honey (after PRAKASH, S & RATNA, R, 2014). They were divided like that according to the type of bees that produced them and according to their health benefits. 1.Makshikam (Makshika): A honey made by large bluish honey bees, considered to be “very light and dry”. It is used to treat “vata kapha” diseases and kapha diseases such as: jaundice (hepatitis), hemorrhoids, coughs, tuberculosis and eye diseases. 2.Bhraamaram (Bhramara) : This honey is made by small bees, it’s very sticky and white transparent. It is used in the treatment when blood is vomited and for urinary tract disorders and digestive problems. 3.Kshoudram (Kshoudra): It is made by medium- sized brown bees. It’s considered by the Ayurvedic practitioners “light and cold in nature” and it is used to dissolve kapha dosha, which governs the structural integrity of the body. (I wonder how would a westerner associated this with!) Some people say it is used for the same conditions as makshika honey, but especially in the treatment of diabetes. 4.Pauthikam (Pouttika): – a honey collected by small bees that live in the hollows of old trees. It increases vata dosha – which is a type of energy that governs all movements. It also creates a burning sensation in the chest. Used in the treatment of diabetes, urinary infection and against tumors. 5.Chathram (Chatra): It’s a honey collected by yellow and brown honey bees that are found in the Himalayan forests. It’s “heavy and cold”. Used in the treatment of worm infestation, when blood is vomited, gout, indigestion and diabetes. It is also considered a very nourishing honey. Recommend to be taken on a daily basis. 6.Aardhyam (Arghya): – it is made by a different kind of bee, a yellow one. Effective for eye diseases, cough and anaemia. (Yet, some people say it may causes arthritis!?). 7.Ouddalakam (Oudalaka or Auddalaka): A honey made by a small brown bee that lives in anthills. It’s astringent but very good in treating throat and improve voice modulation. Increases taste and swarasudhi. Also used in the treatment of leprosy and poisoning cases. 8.Daalam (Dala): A honey considered to be “dry”, very good for the digesive system, it increases digestion and reduces vomiting. Also helping in the treatment of cough and diabetes. 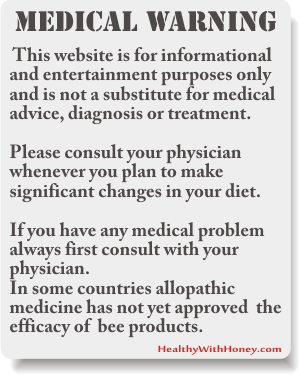 Unfortunately for the bees and Ayurvedic medicine, industrialization has put its print on the wild nature as well. Pesticide exposure had direct effects on individual bees as well as indirect effects on entire colonies of Indian wild bees, also affecting the soil and the quality of plants. A study from 2015, Field populations of native Indian honey bees from pesticide intensive agricultural landscape show signs of impaired olfaction, by Priyadarshini Chakrabarti et al., showed that the high intensity cropping site (HIC) – a place with a high pesticide use, recorded higher pesticide residues in the soil samples compared to the low intensity cropping site (LIC) – the site of low pesticide use. This means genuine Ayurvedic honeys are in danger of extinction. Ayurveda also divides honeys into fresh and aged, each with its own effect on the human body: Fresh honey helps to increase body mass while old honey produces constipation and decreases body mass. This is just like in our western traditional apitherapy which says old honeys are good to treat diarrhea and fresh honeys are good for constipation. 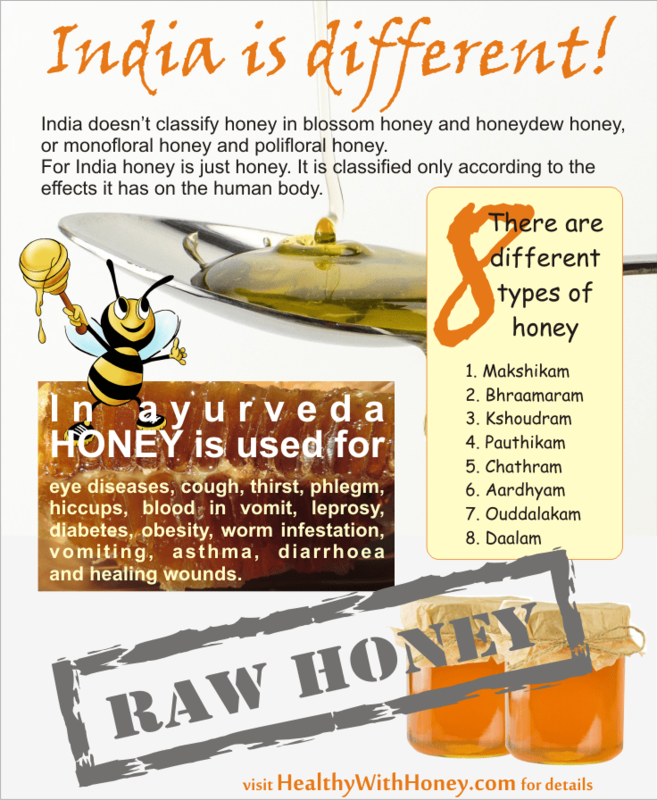 But Ayurvedic honeys are not the only types of honey from India. 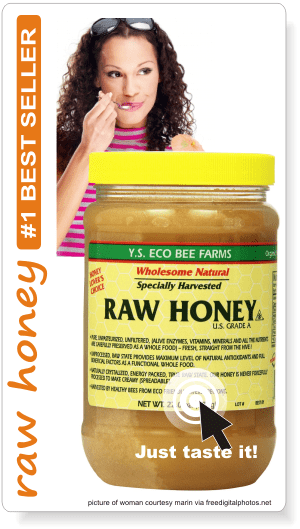 There is also commercial honey, which can be found in supermarkets, though the label doesn’t specify the source of it. And, some other healthy honeys, like Maharishi honey. Read the article Maharishi Honey seems to be better than Manuka Honey! And is not the only one for more amazing details. As I said in the beginning, I am not Indian, so if you know other interesting facts about honey from India, please leave a comment below. – KRISHNA, R (2005) Therapeutic uses of Honey in Ayurveda. and Modern Medicine, CRC Press Taylor and Francis Group; pp 13-20. 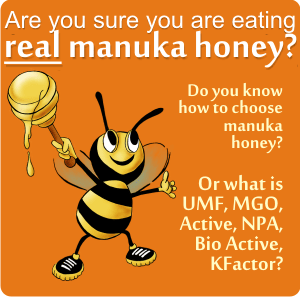 Minerals and trace elements in honey What is the best manuka honey? From what brand? Hi Laura It is really Fantastic,Amazing & Mind Blowing information!!!! Very nice ! !.I am sure you might have visited India & few forests here too.Well Have you ever visited south India? Did you hear about Kolli Hills? It is the hill filled with rare herbs,you can ask with your friends in India.I am collecting Honey from this place though my connection there a group of people goes inside the forest to collect Herbs & Honey.Very recently i have just started collecting Honey from them in quantity like 5 kg,10 kg containers,will have to wait for some days after the assurance of buying,though i am using the Honey for about 10 years! !.As a searcher of pure Honey,I am sure you love to taste this.If you are visiting India pls try to visit me. Thank you for your offer. I will get in touch with you if I go there.